Chang, Mei; Paulson, Sharon E.; Finch, W. Holmes; Mcintosh, David E.; Rothlisberg, Barbara A.
Fokkema, M.; Smits, N.; Kelderman, H.; Carlier, I. V. E.; van Hemert, A. M.
Pesta, Bryan J.; McDaniel, Michael A.
Farah, Martha J.; Smith, M. Elizabeth; Ilieva, Irena; Hamilton, Roy H.
The word serendipity originates with the fairy tale "The Three Princes of Serendip," who are continually setting out in search of one thing and finding another. In what researchers call the evolutionary view of innovation, this element of random chance isn't just fortuitous, it's necessary. Innovation requires serendipity. Why? Experts have a lot invested in the theories they've developed to explain the world. And after a few years of working on them, they tend to see them everywhere. For example, bullish stock analysts banking on rosy financial scenarios were unable to identify the housing bubble that nearly bankrupted the economy—even though the trends that drove it were pretty clear to anyone looking. It's not just that experts are vulnerable to confirmation bias—it's that they're especially vulnerable to it. The Atkins MR/ID case of Hall v Florida, which is to be heard by SCOTUS this spring, had two mportant briefs posted within the last week. The Hall v Florida petition was filed Dec 16. Today, an Amicus Brief was filed by a number of organizations, led by the American Psychological Association. Hansen, M.; Wallentin, M.; Vuust, P.
Here is my simplified Gv explanation of the statistical procedure called bootstrap resampling. You can read the text about it in a special ASB for the WJ III NU. Click on image to enlarge. Sent from Flipboard, your personal magazine—a single place to discover and share the news you care about. ubc.ca • Eighty per cent of sci­en­tif­ic data are lost with­in two decades, accord­ing to a new UBC study that tracks the acces­si­bil­i­ty of data over time. "Sentencing Juveniles: Eliminate the Bright-Line Rule of Majority"
The United States Supreme Court's often stated view that "death is different" has led to a line of decisions in which the Court carved out categorical Eighth Amendment exceptions for certain groups. These cases hold that courts should not give the death penalty to individuals within those groups. In Atkins v. Virginia, for example, the leading case within the "death is different" line, the Court held that the death penalty was not an appropriate punishment for mentally retarded offenders because it constituted cruel and unusual punishment in violation of the Eighth Amendment. The Court continued to carve out exceptions for certain groups including juveniles. Then the Court's view regarding the Eighth Amendment's prohibition against cruel and unusual punishment evolved. No longer was "death" the only "different;" now, juveniles could be considered "different." Following Roper, in which the Court held that sentencing juveniles — those under the age of eighteen — to death constituted cruel and unusual punishment in violation of the Eighth Amendment, a line of cases emerged in which the Court continued to carve out more exceptions for juveniles. In each of these landmark decisions, the Court has found that to be considered a juvenile, the individual must be under the age of majority. As found in Roper, and consistently followed in the other decisions within this line of cases, the age of majority is eighteen. Although the Court acknowledged that there are some juveniles under the age of majority who have attained a level of maturity "some adults will never reach" and "the qualities that distinguish juveniles from adults do not disappear when an individual turns 18," the Court drew a line. Thus, the age of majority is a bright-line rule. Heeding the Court's own words, it should recognize that juveniles who are aged seventeen and those aged eighteen arguably are no different. Research also suggests this to be true. 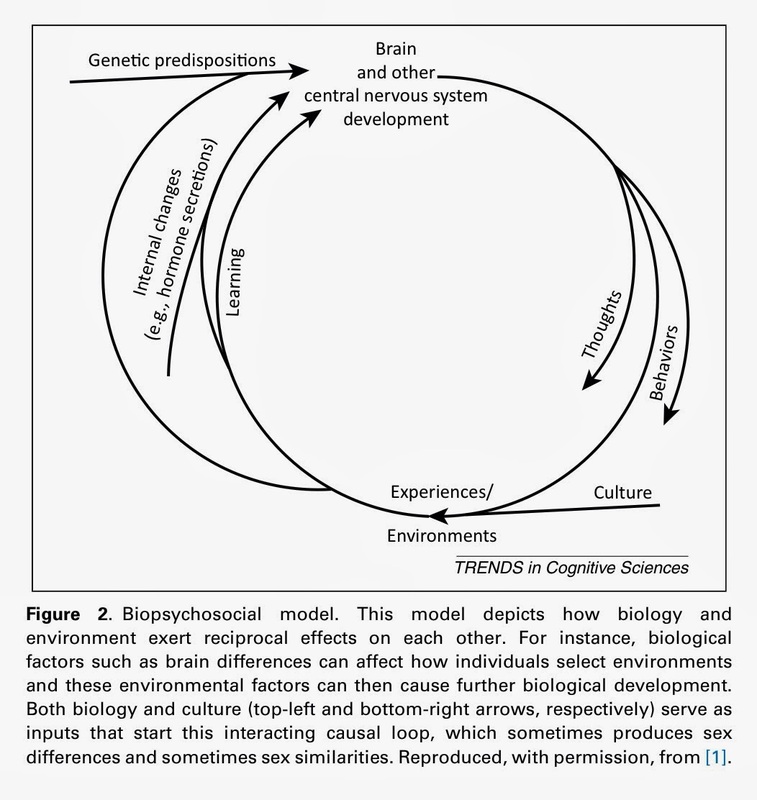 This article argues, therefore, that because of the uncertainty surrounding "juvenile" brain development and because the bright-line rule of majority prevents courts from determining if an individual under the age of eighteen, the age of majority, has the requisite culpability deserving of the categorically excluded punishments, the Court should eliminate the bright-line rule of majority. Further, although the majority of juveniles should not receive certain categorically excluded harsh punishments, a few should still receive those punishments, and it should be an option for all. Part I of this article serves as background on the bright-line rule of majority and its application in "juveniles are different" cases. Part II of this article argues that the Court should eliminate the bright-line rule of majority. Part III of this article proposes a solution to the bright-line rule problem; that is, a case-by-case analysis should decide cases involving juveniles with age being another sentencing factor considered. Age will thus act as an aggravating or mitigating factor in the sentencing phase of the criminal proceeding. Finally, Part IV of this article explains why a case-by-case analysis considering age as a sentencing factor is better than a bright-line rule of majority and addresses the potential counter-arguments to this proposal. 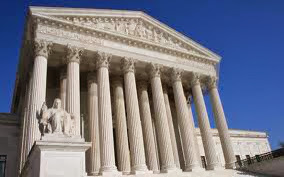 In the 2002 landmark decision Atkins v. Virginia 536 U.S. 304, the Supreme Court of the United States ruled that executing a person with intellectual disability is a violation of the Eighth Amendment of the U.S. Constitution, which prohibits “cruel and unusual punishment,” but left states to determine their own criteria for intellectual disability. AAIDD has always advocated against the death penalty for people with intellectual disability and has long provided amicus curiae briefs in Supreme Court cases. Thus, in this comprehensive new book published by AAIDD, notable authors in the field of intellectual disability discuss all aspects of the issues, with a particular focus on foundational considerations, assessment factors and issues, and professional concerns in Atkins assessments. The projected publication is sometime this spring. Note: Instructions on how to purchase the full text of an article and Thomson Reuters Science Contact information are at the end of the e-mail. manifestation of the gains was different depending on time and place. verbal abilities. (C) 2013 Elsevier Inc. All rights reserved. subtests showed large decreases (approximately .50 standard deviations). both time points. (C) 2013 Elsevier Inc. All rights reserved. 2013 Elsevier Inc. All rights reserved. tend to show a rising trend relative to higher-scoring countries. conscripts in Finland per year are reported for the years 1988 to 2009.
and Words over the years 1988 to 1997 averaging 4.0 IQ points a decade. IQ points a decade. (C) 2013 Elsevier Inc. All rights reserved. Ability rise in NAEP and narrowing ethnic gaps? provided a gain of $1377. (C) 2013 Elsevier Inc. All rights reserved. were observed among all 10 ASVAB subtests (mean effect size beta=-.032). effect (C) 2013 Elsevier Inc. All rights reserved. 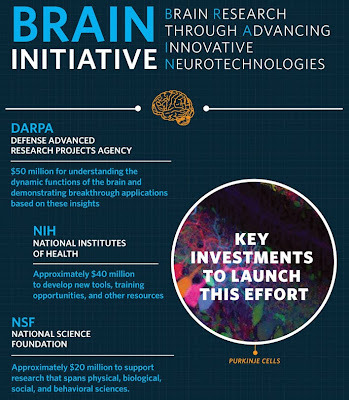 National Institutes of Health (NIH) has finally released detailed descriptions for six separate funding opportunities in support of the BRAIN Initiative. If you're big on cells, circuits, and/or technologies, one of these programs could be for you. NIH hopes to award $40 million by the end of the fiscal year (September 30, 2014). The application deadlines are all in March 2014. 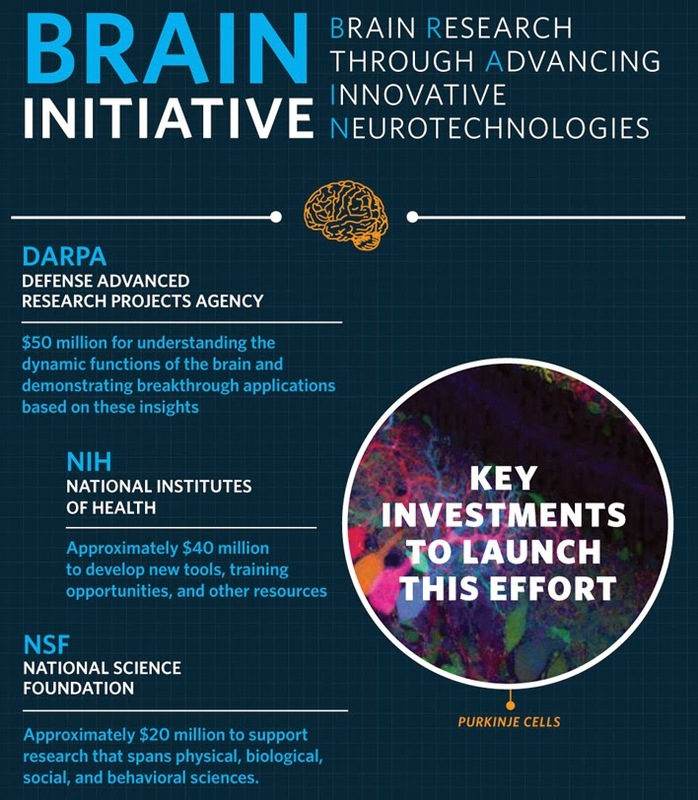 In October, Defense Advanced Research Projects Agency (DARPA) announced that it would spend $70 million over the next five years to develop and improve deep brain stimulation (DBS) techniques. The approaches of the two agencies are quite different, as outlined in this post. As you can see, Cellular/Molecular and Systems/Circuits neuroscience researchers will benefit the most, along with engineers, physicists, and other technology-development types. Transformative Approaches for Cell-Type Classification in the Brain (RFA-MH-14-215) – aims to pilot classification strategies to generate a systematic inventory/cell census of cell types in the brain, integrating molecular identity of cell types with connectivity, morphology, and location. These pilot projects and methodologies should be designed to demonstrate their utility and scalability to ultimately complete a comprehensive cell census of the human brain. Development and Validation of Novel Tools to Analyze Cell-Specific and Circuit-Specific Processes in the Brain (RFA-MH-14-216) – aims to develop and validate novel tools that possess a high degree of cell-type and/or circuit-level specificity to facilitate the detailed analysis of complex circuits and provide insights into cellular interactions that underlie brain function. A particular emphasis is the development of new genetic and non-genetic tools for delivering genes, proteins and chemicals to cells of interest; new approaches are also expected to target specific cell types and or circuits in the nervous system with greater precision and sensitivity than currently established methods. New Technologies and Novel Approaches for Large-Scale Recording and Modulation in the Nervous System (RFA-NS-14-007) – focuses on development and proof-of-concept testing of new technologies and novel approaches for large scale recording and manipulation of neural activity, with cellular resolution, at multiple spatial and/or temporal scales, in any region and throughout the entire depth of the brain. The proposed research may be high risk, but if successful could profoundly change the course of neuroscience research. Optimization of Transformative Technologies for Large Scale Recording and Modulation in the Nervous System (RFA-NS-14-008) – aims to optimize existing and emerging technologies and approaches that have the potential to address major challenges associated with recording and manipulating neural activity. 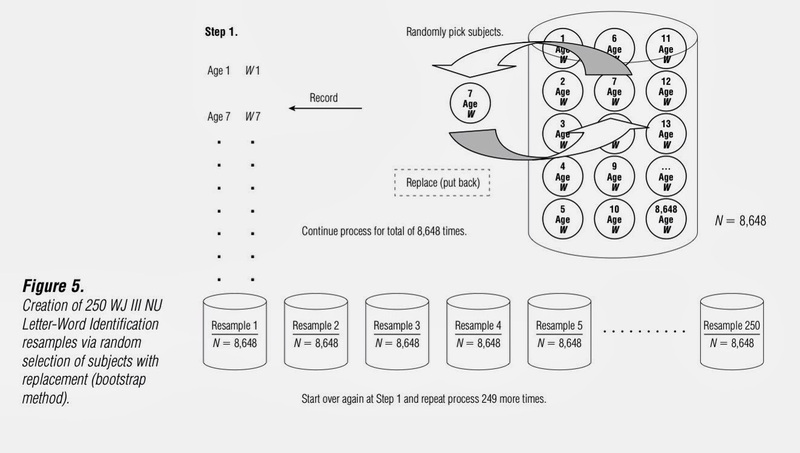 This FOA is intended for the iterative refinement of emergent technologies and approaches that have already demonstrated their transformative potential through initial proof-of-concept testing, and are appropriate for accelerated engineering development with an end-goal of broad dissemination and incorporation into regular neuroscience research. Integrated Approaches to Understanding Circuit Function in the Nervous System (RFA-NS-14-009) – focuses on exploratory studies that use new and emerging methods for large scale recording and manipulation to elucidate the contributions of dynamic circuit activity to a specific behavioral or neural system. Applications should propose teams of investigators that seek to cross boundaries of interdisciplinary collaboration, for integrated development of experimental, analytic and theoretical capabilities in preparation for a future competition for large-scale awards. Planning for Next Generation Human Brain Imaging (RFA-MH-14-217) – aims to create teams of imaging scientist together with other experts from a range of disciplines such as engineering, material sciences, nanotechnology and computer science, to plan for a new generation of non-invasive imaging techniques that would be used to understand human brain function. Incremental improvements to existing technologies will not be funded under this announcement. The long-term objective is to develop tools for the precise imaging of molecules, cells, and circuits in the human brain. 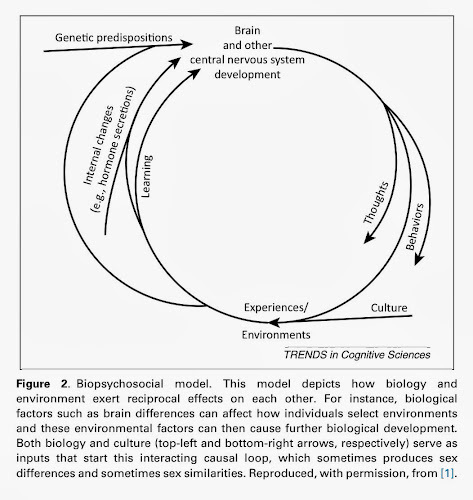 Applications submitted in response to this R24 FOA should support the formation and development of interdisciplinary teams that will plan innovative approaches to substantively expand the ways by which brain structure and function can be imaged in humans. These R24 awards will support planning activities such as meetings, prototype development projects and small scale pilot studies in mammals or humans that would provide proof of principle for transformative approaches to assessing human brain structure and function. The proposed concepts are expected to be high-risk, high-impact, and disruptive (c.f. C. Christensen "The Innovator's Dilemma", 1997; http://en.wikipedia.org/wiki/Disruptive_innovation). 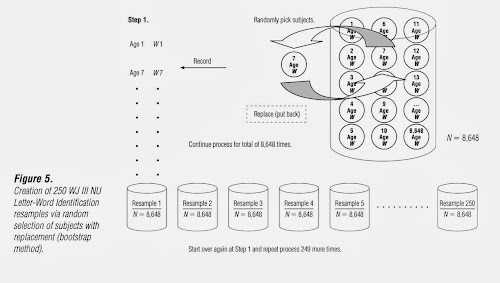 I can't help but wonder what my fMRI scanner might look like if it was designed specifically for task. Would the polarizing magnet be horizontal or would a subject sit on a chair in a vertical bore? How large would the polarizing magnet be, and what would be its field strength? The gradient set specifications? And finally, if I'm not totally sold on BOLD contrast as my reporting mechanism for neural activity, what sort of signal do I really want? In all cases I am especially interested in why I should prefer one particular answer over the other alternatives. Anyone who is awarded one of these #BRAINI grants is free to use this nifty badge on all their promotional materials and publications. 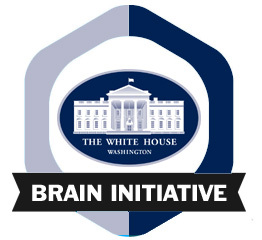 The BRAIN Initiative badge is awarded by President Obama to research supported by his $100 million #BRAINI. This bold new research effort will include advances in nanotechnology and purely exploratory efforts to record from thousands of neurons simultaneously.